The South Route is where The Party Week began and is our original sailing route and it runs from marinas and takes you on an adventure journey visiting minimum four islands in seven days. 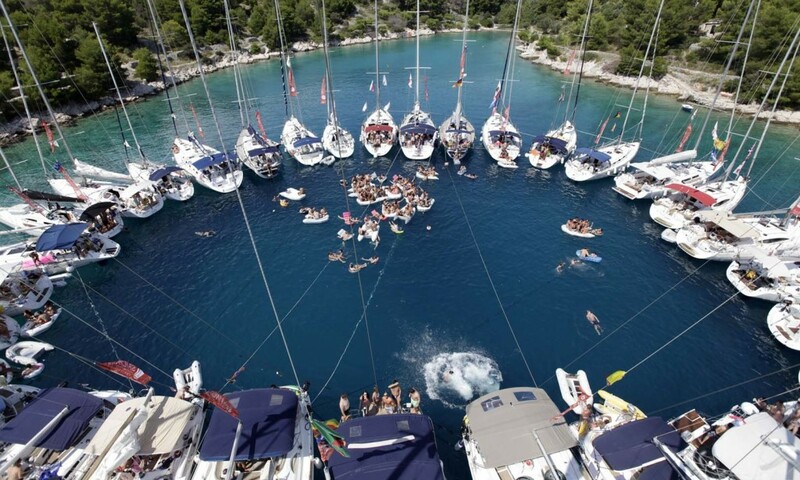 7 days sailing with your friends on a luxury yacht along Croatian coast. 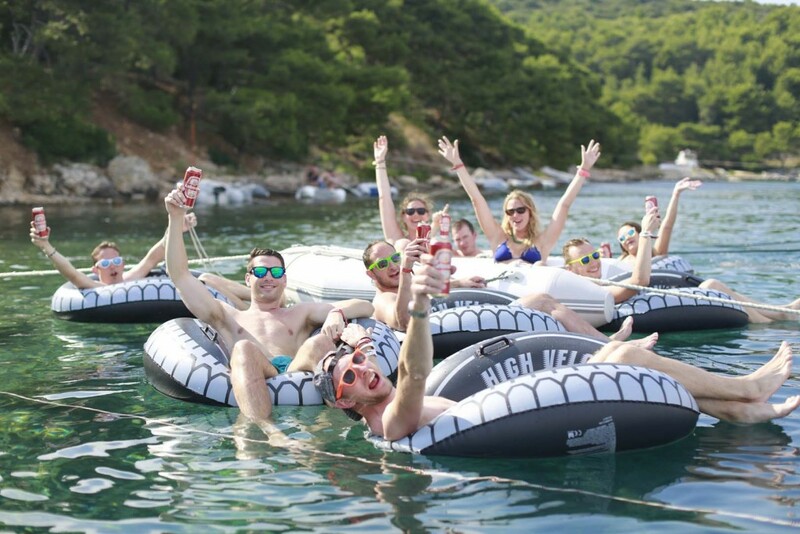 The Antropoti Yacht Week provides a unique experience of sailing, partying and discovering the beauty of the Croatian coast. With our fleet of up to 50 yachts (500 people) per week from all over the globe, we make an army of happy sailors. Don’t miss the opportunity to join us for Yacht Week 2016. Ultra Sailing Trip is week of sailing, partying and enjoying summer holidays, during and after Ultra Music Festival in Croatia. 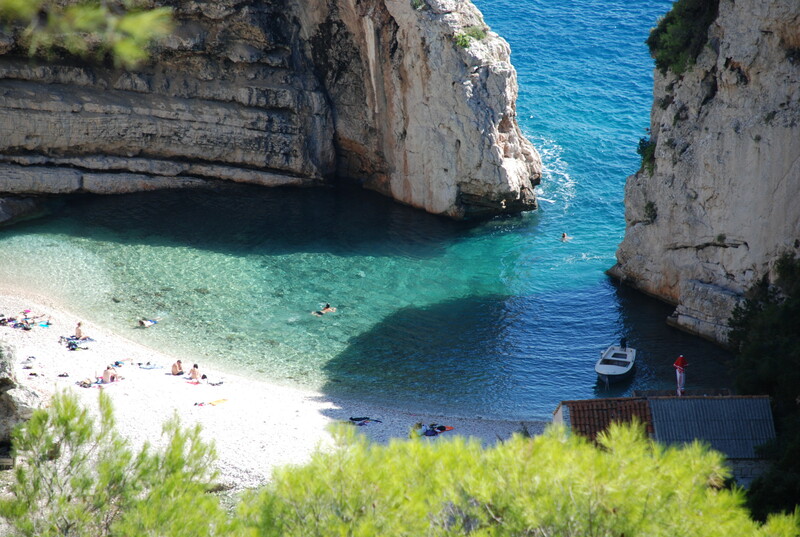 You will explore beautiful Croatian sea and untouched nature while relaxing and getting best tan ever. Our Croatian professional skippers will guide you from hidden bays to traditional old towns where you will enjoy meals in seaside taverns and dance away till early hours with our residence DJ’s. Ultra Europe Music Festival, one of the leading electronic music festivals, is the third year running in Croatia from 15th till 17th July, 2016. 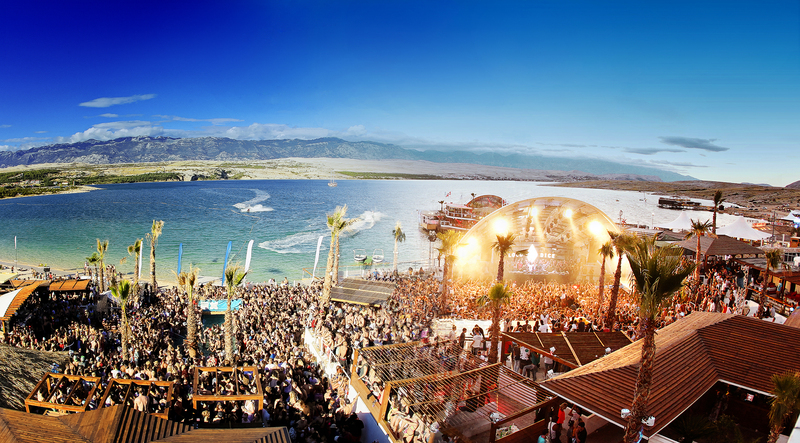 Ultra Worldwide selected Croatia in the competition of 16 countries as the only European destination of this festival. Festival is helding in Split, one of the oldest and most beautiful cities on the Adriatic coast centered on the Roman Palace of the Emperor Diocletian. The best accommodation during the festival is certainly a party sailing yacht. After the unforgettable 2013. and fabulous 2014. year and fabulous 2015., next summer we continue the successful tradition of organizing sail to Ultra trips. Our fleet includes 150 yachts with more than 1000 people from all over the world. 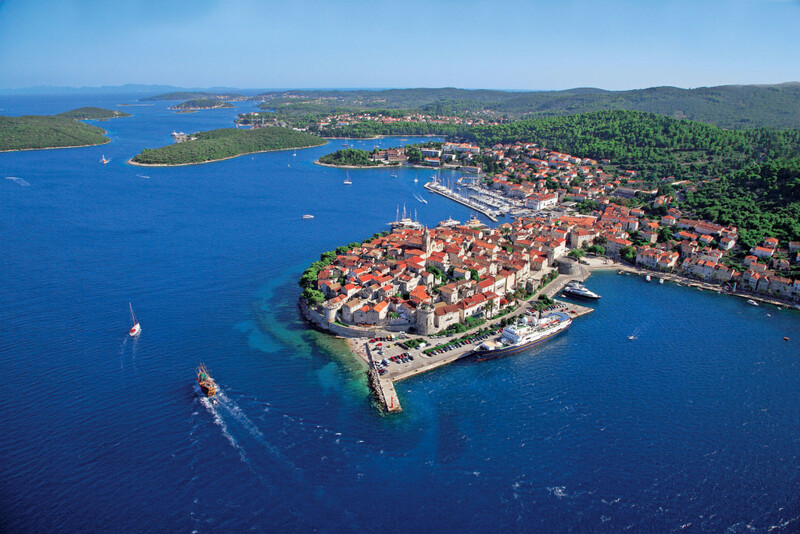 In one week we visit 7 islands and 10 destinations on the beautiful Croatian coast. Route starts in Split, and then we sail to islands: Hvar, Pakleni otoci, Vis, Komiža and Bol. 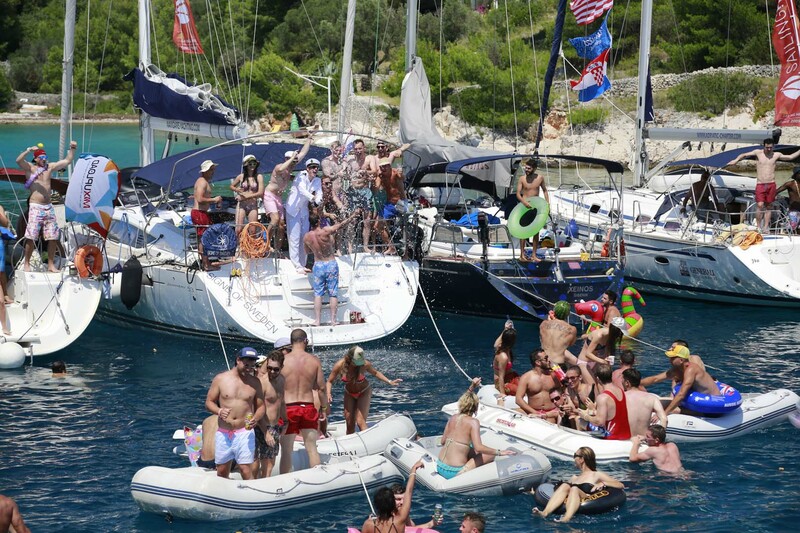 Experience pure enjoyment, sailing, dancing and partying together with people from all over the world. 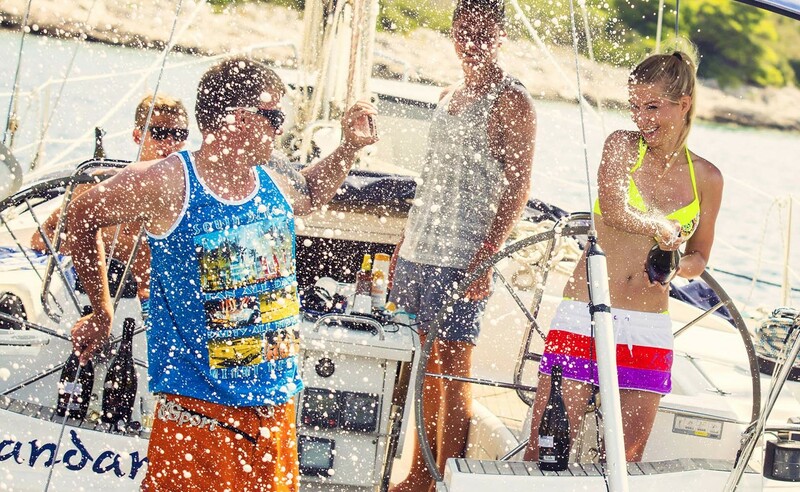 Top combination for summer is sailing and party! The city was originally built around the Diocletian palace (Roman fort) in Dalmatia, Croatia. Because of its ideal climate, with 2,800 hours of sunlight each year, local people have a few nicknames for Split: “The most beautiful city in the world” and “Mediterranean flower”. Wandering the historic centre of Split you can still clearly see the Roman walls, squares, and temples. You will absolutely love the city of Hvar! Voted as one of the ten most beautiful islands in the world, the island of Hvar is an unforgettable attraction with its historical Venetian palaces, fine local restaurants, hippest bars and night clubs. With an average of 7.7 sunshine hours per day, Hvar is the most sunny island on the Croatian coast and that’s how it earned its nickname „the island of the sun“. Hvar Town may be the most stunning town on the island but Stari Grad, the oldest village on the island, and Jelsa, as well as a smattering of small villages, dotting the coast or nestled in the lush interior are well worth a visit. With an average of 7.7 sunshine hours per day, Hvar is the most sunny island on the Croatian coast and that\’s how it earned its nickname „the island of the sun“. Hundreds of party people from all over the world flock to night clubs and bars. You might find yourself rubbing shoulders with the world\’s rich and famous, who are frequent visitors on the island. Even Beyonce and Jay Z couldn’t resist the charms of this island. Will you? Pakleni otoci (Hell’s Islands in English), which host the amazing Palmižana yacht marina, is where we take the party further. Whatever you’re in for, what happens on Hell’s Islands, stays on Hell’s Islands. During the day you can do what everyone does when they’re on holidays in Croatia – swim, relax and enjoy the sun. After getting yourself sun kissed, you can take your hot body to the famous Carpe Diem cocktail bar, and mingle. The bar is scenic; situated in a large shallow bay on a sandy beach, surrounded by pine trees, fragrant lavender and rosemary bushes, you’re bound to have a great time. For the insatiable ones, there’s always an after beach party where you can watch a mind-blowing sunrise with a favourite cocktail in your hand. 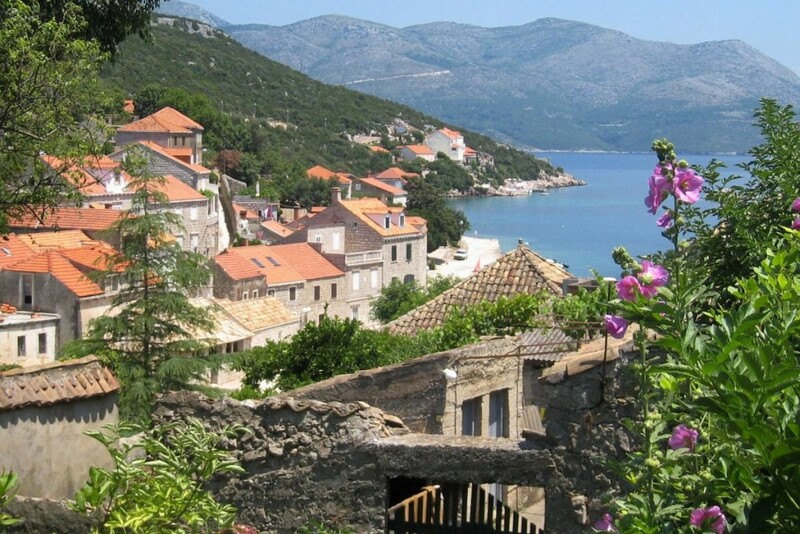 Komiža is a small old Mediterranean town on the far side of the island of Vis. By this point, you will realise what we mean when we say that the seawater makes you good as new. Swimming, sunbathing and eating fine food will have all your senses spoiled. Komiza’s narrow streets, sandy beaches and fresh water springs is bound to keep you moving, but save some energy for partying in the clubs until the early morning. Komiža experiences warm and temperate winters with warm to hot summers with the landward breeze making it the most moderate climate in the Republic of Croatia. 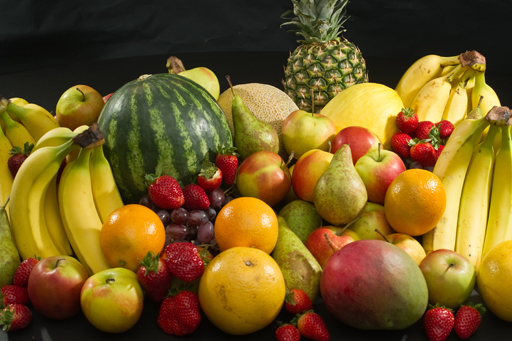 The climate allows for Tropical and Mediterranean vegetation, including palms, carobs, olives, grapes and lemons. The average rainfall is about 750 mm (29.53 in) per square meter. The island is also home to twelve distinct types of island vegetation. The next stop we’re sailing to is Vis, a beautiful remote island surrounded by the central Dalmatian archipelago and its numerous small islands. During the day, this island is a quiet oasis of peace and you can explore its world-wide famous caves, as well as enjoy fine wine and mouth – watering local Croatian cuisine. At nights, the island transforms into to a vibrant clubbing scene, where you can party until the morning. As a free activity, you can attend a Military tour which takes you deep underground into the military complex tunnels that were built during the WWII. These tunnels were a well-kept secret, until 1992, when it got opened for sight-seeing. Yugoslavia’s most famous leader Tito was ordered to hide here by Churchill. Nowadays, there is a relaxed and beautiful island that is a great getaway from the larger cities that connect Vis with the mainland. Bol is a tourist settlement on the island of Brač with a long tradition of night life. Excursion boats and yachtsmen from all over the world flock to attend various parties in the amazing cocktail bars. 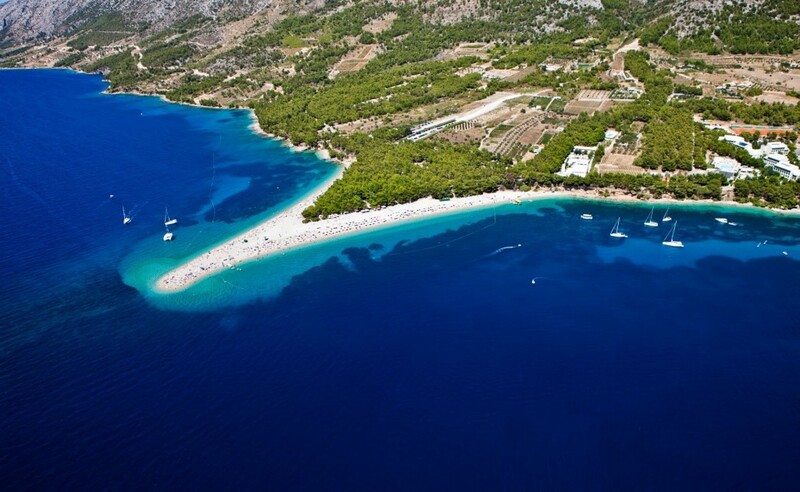 The beach “Zlatni Rat”, Croatia’s most spectacular beach, is also located on the island of Bol. If you are into sporting activities, there’s a lot to choose from in this vibrant little town. Its recognizable cultural identity delights thousands of visitors every year. Bol is famous as ideal spot for the windsurfing and kitesurfing. Sport centers in Bol provide courses with experienced intructors as well as the rent of the equipment. This particular stretch of coast has an indented coastline with numerous towns, and villages, a selection of small populated islands just offshore, and then a few miles further out the islands of the Kornati archipelago. Overall there are probably more small islands and ports, in relatively easy reach of each other than any other similar sized sailing area in the Mediterranean. All the larger mainland ports have good marinas, the islands all have serviced town quays, and there and lots of bays and anchorages. The 15 best places to visit selected by travellers Zadar in Croatia ~ European Best Destination 2016! 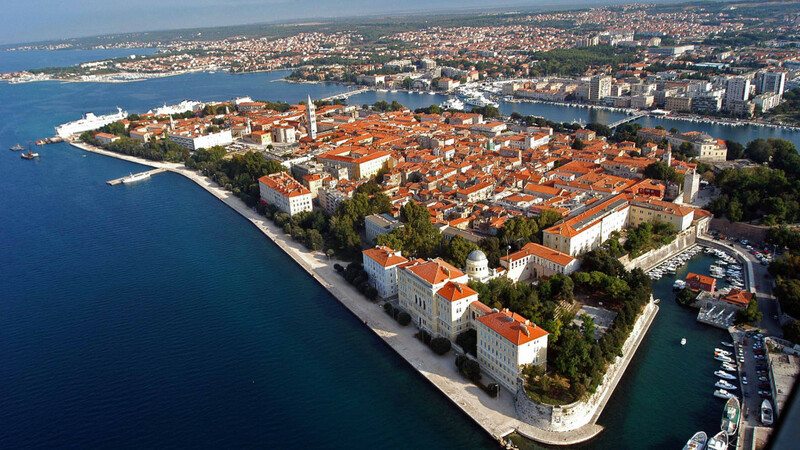 Welcome to Zadar European best destination 2016! Located at the entrance to the Kornati Islands (Murter inhabitants own most of the land), Murter is an attractive spot for yachtsmen, and all lovers of quiet relaxation. The beginnings of tourism in Murter date back to the 1930’s, when Czech Villa was built in Slanica cove. Murter is a settlement on the northeast part of the island of the same name. Its name was at first Veliko Selo (from the 13 th century) and Srimač; since 1715 it bears its current name. 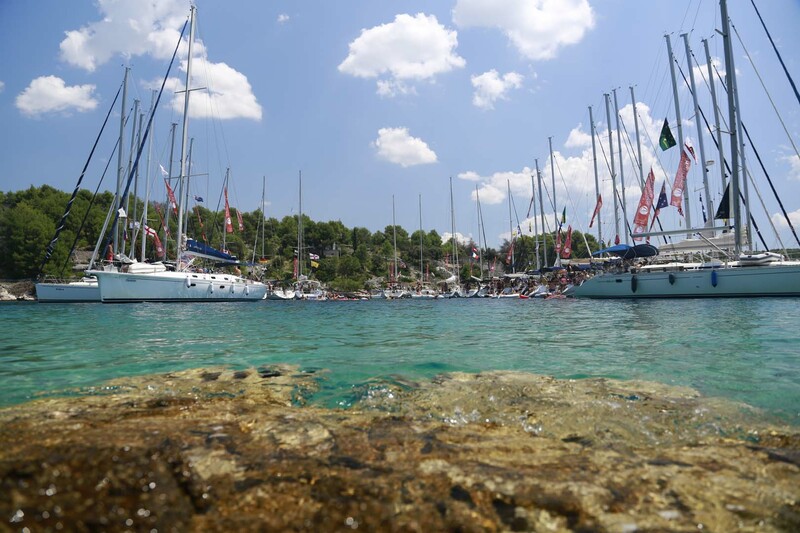 It spreads towards the Hramina Cove, where a marina has been built, and to the Slanica cove, which features the most beautiful beach of the Šibenik Riviera, as well as the camp and hotel “Colentum”. Hramina cove is protected from all winds and makes for a safe shelter for yachts. Murter’s economic basis rests on agriculture, fishing and tourism. It is situated on the regional traffic route and has a population of 2000. In the tourist season the number of inhabitants becomes much greater – approximately four times as great. 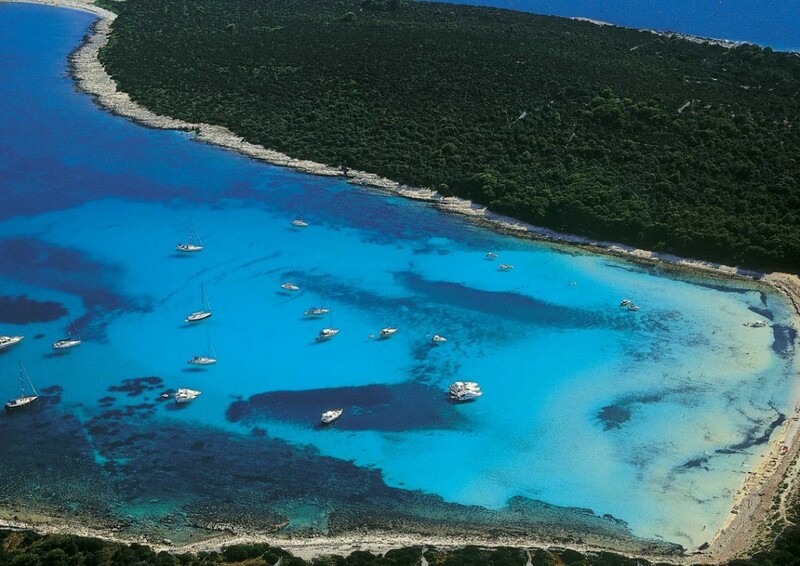 Sali (about 1000 inhabitants) is the biggest village of the island Dugi Otok and have its name from the mediaeval salt production. Placed in the southern part of the island, it’s the resort closer to the National Park of Kornati, from which is 5 miles far away. Surrounded by olive woods, the village is extended between two bays that lodge the harbor (Porat) and the beaches. In Sali there are three restaurants, a hotel, three bars, four food shops, a newspaper kiosk, the post office, a doctor and two sub schools. You can go from one part of the village to the other in ten minutes walking. The car is useful only for trip in other places of island while the boat is the best mean of transport to use to discover the island. From Sali are organized daily trips by ship to Kornati islands, or, using the ordinary liners, it is possible to visit Zadar. 3 km far from Sali there is the Bay of Telascica with the homonym Natural Park and the suggestive Salt Lake Mir. Sakarun is a spacious sandy beach around 800 metres long that opens on to the open sea of the Adriatic. It is situated on the north-western coast of Dugi Otok, near the settlements of Veli Rat, Verunić, Soline, and the better known Božava. The fine white sand gives a special blue-green colour to the sea. Sakarun is one of the most beautiful and best known beaches of Zadar County. The shore is covered in shingle. The sea is very shallow, even up to 100 metres from the coast. 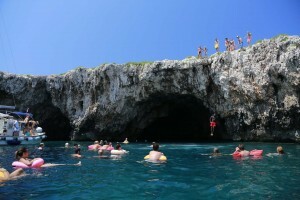 At the swimming limit, approximately 250 metres from the coast, the depth is around 3.5 m.
On the beach, there are two catering facilities: a cocktail bar and a barbecue stall. In the summer, a small train comes every hour from the hotel compound in Božava. The beach itself is unfortunately exposed to the open sea, which brings rubbish, so that cans, plastic bags, bottles, seaweed and the like are not an infrequent sight. 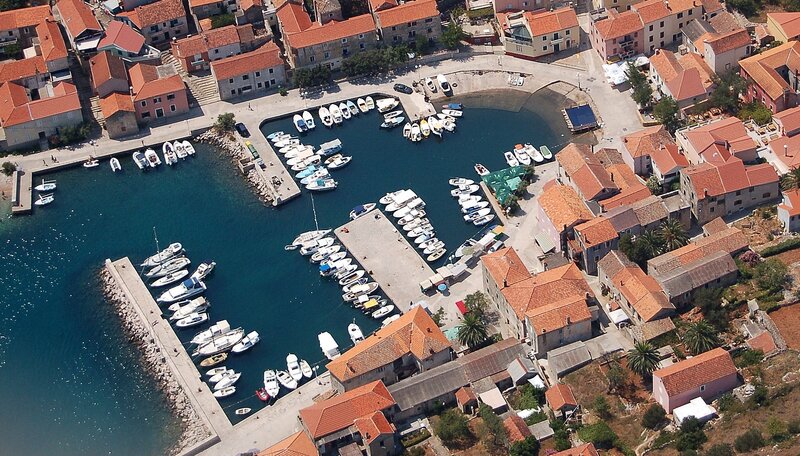 It is a large bay and popular berthing place and you can nearly always find a place to anchor. The bay is well protected from the winds, except the southerly jugo. When the jugo blows, it is better to moor at the buoys in nearby Pantera. From the bay, you can take a 30-minute walk to Verunić and Veli Rat. This archipelago lies in the middle of the northern hemisphere because a part of it goes through the 45th degree of the northern latitude. The biggest part of the archipelago is in the sub-tropical zone of the southern half of the northern hemisphere, which influences its climate and the way of life of its inhabitants. 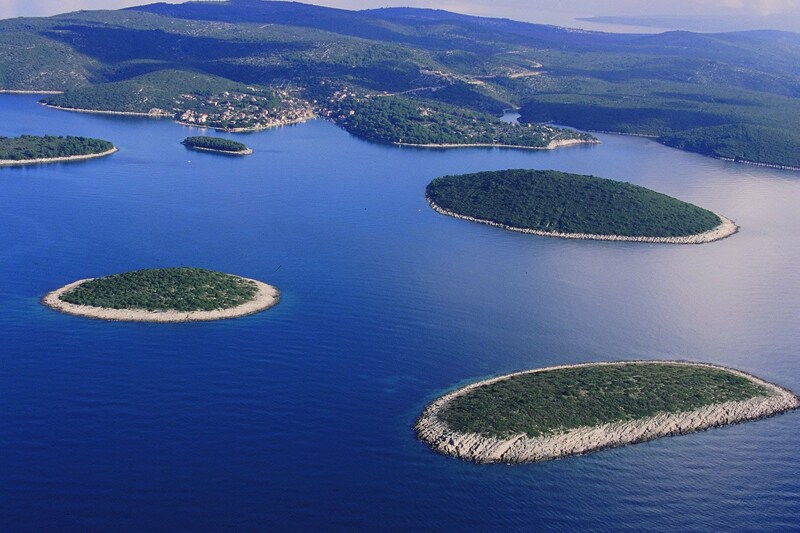 The largest of the islands is the wooded Lošinj, with its elevated mount Osoršćica. From here travellers can discover the primeval beauty in the landscape of the small islands unfolding before them: fertile Unije, unique sandy Susak with its distinctive culture, solitary Vele and Male Srakane, flower-studded Ilovik, each of them closely guarding its secrets and beauty. Come and discover them! There are tourist boats and regular ferries lines connecting these islands, whilst Lošinj itself is linked to the mainland by modern car ferry, hydrofoil and small plane. The sea connects and yet divides them. Nice weather and warm sea are just some of the reasons why the Adriatic coast is full of tourists, domestic and foreign. As one of the most visited destinations invincible stands Zrće. Zrće Beach is known as one of the most beautiful in the Adriatic Sea, as well as a place for parties and pleasure, sports and recreation. Every detail is designed for a pleasure, but despite interventions waved blue flags provides you idyll of untouched nature, clean sea, exceptional hygiene and lifeguard team. Place is celebrated under the name of Croatian Ibiza, offering the hottest beaches in Croatia and even when the temperature drops, it remains hot! Many young people, good fun, great music and excellent atmosphere is always present in clubs on Zrće, enough to create a crowd at the club’s entrance. Zrće does not know the difference between day and night so delighted guests can continuously enjoy the crazy parties. As summer progresses and the temperature rises, so is the fun on the island getting better. It is a place where everyone is welcome, and party on Zrće never stops but every day it is a whole new dimension. Even the British and American media have praised Zrće and Papaya club – “Hot, hot, hot! Such sites are crucial for Croatian tourism,” is written in the Daily Mail. News of the world, before it collapsed, wrote: “Pag is the Balkan version of New York’s Hamptons. Nine months it is asleep, but when the sun rises it is the right place where you should be. It is dominated by clubs and festivals, and there are performances and big names such as DJ Fatboy Slim and Armin Van Buuren,” on its website. So, entertainment and fun are guaranteed by the world-famous music scene (names such as DJ Tiesto, Shapeshifters, Paul Van Dyke, Freemasons, Fatboy Slim, Benny Benassi, Swedish house mafia, Chemical brothers, David Morales, etc. ), beautiful dancers, cocktails and continuous parties. The city was originally built around the Diocletian palace (Roman fort) in Dalmatia, Croatia. Because of its ideal climate, with 2,800 hours of sunlight each year, local people have a few nicknames for Split: “The most beautiful city in the world” and “Mediterranean flower”. The island of Šolta is very close to the coast and to Split, but nevertheless gives the feel of a faraway island. Most of the settlements are located in the inland of the island on the north side, while the south side, with a high, steep rocky coast is quite unreachable. Sailing enthusiasts are attracted to the bays in Šolta, while cyclist to its cycling paths. The symbol of the island is the hooting-owl, whose figurines decorate many of the houses. Šolta is famous for top quality olive oil that is even mentioned in the Split statute from the 14th century. 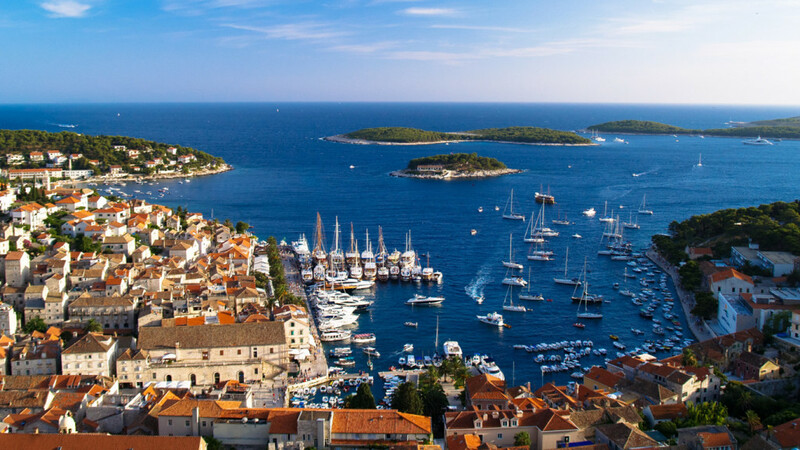 You will absolutely love the city of Hvar! Voted as one of the ten most beautiful islands in the world, the island of Hvar is an unforgettable attraction with its historical Venetian palaces, fine local restaurants, hippest bars and night clubs. With an average of 7.7 sunshine hours per day, Hvar is the most sunny island on the Croatian coast and that\’s how it earned its nickname „the island of the sun“. Hundreds of party people from all over the world flock to night clubs and bars. You might find yourself rubbing shoulders with the world\’s rich and famous, who are frequent visitors on the island. Even Beyonce and Jay Z couldn’t resist the charms of this island. Will you? Rich in vineyards, olive groves and small villages, and harbouring a glorious old town, the island of Korčula is the sixth-largest Adriatic island, stretching nearly 47km in length. The dense woods led the original Greek settlers to call the island Korkyra Melaina (Black Korčula). Quiet coves and small sandy beaches dot the steep southern coast while the northern shore is flatter and more pebbly. Tradition is alive and kicking on Korčula, with age-old religious ceremonies, folk music and dances still being performed to an ever-growing influx of tourists. Oenophiles will adore sampling its wine. Arguably the best of all Croatian whites is produced from pošip grapes, which are only grown here and to a lesser extent on the Pelješac Peninsula. The grk grape, cultivated around Lumbarda, also produces quality dry white wine. Lastovo, an island in the southern Dalmatian archipelago, 13 km south of the island of Korcula, separated from it by the Lastovo channel. It stretches in the direction east – west. Between numerous hills on the island (the highest peak is Hum, 417 m) are karst valleys and fields. On the southern coast is a large and deep bay, which provides safe shelter during the bora and westerly winds. On the eastern side of the bay is the place called Skrivena Luka (Hidden Harbour), with a low, sand coast. The western coast of Lastovo and the eastern coast of the islet of Prezba enclose a number of picturesque coves, well protected from the bora: Velo Jezero in the south and Malo Jezero in the north. 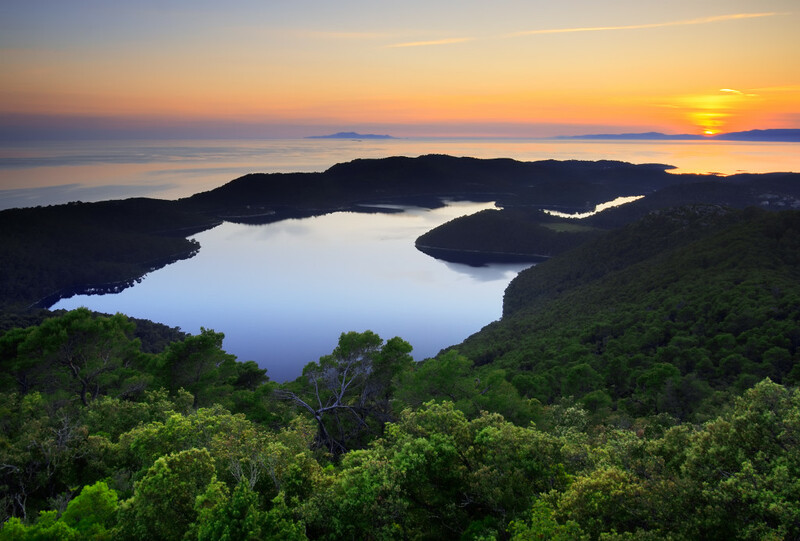 West of the island of Lastovo is an unpopulated islet of Kopiste, largely covered with forests. The north-western coast, with a large bay which branches into several coves, is a pier for small fishing ships. Sheltered coves have nice sand beaches. In front of the north-eastern coast of the island of Lastovo is a group of unpopulated islets and reefs – Donji Skoljic. Major islets are Cesvinica, Krucica (with the highest peak of the entire group, 83 m), Saplun and Stomorina. Saplun has beautiful sand beaches. East of Donji Skolji is another group of unpopulated islets and reefs – Vrhovnjaci, comprising the islets Sestrice (Little Sisters), Vlasnik and Glavat (lighthouse). 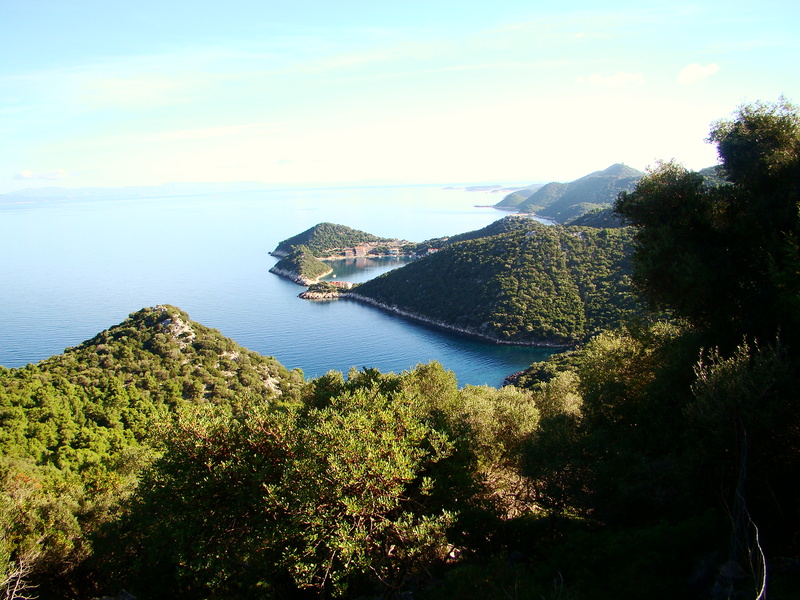 West of Lastovo is the islet of Mrcara (area about 2 sq km). The Mali Brod (Small Boat) strait divides it from the neighbouring island of Prezba. The sea around Mrcara abounds with spiny lobsters. Mljet is one of the most seductive of all the Adriatic islands. Much of the island is covered by forests and the rest is dotted with fields, vineyards and small villages. 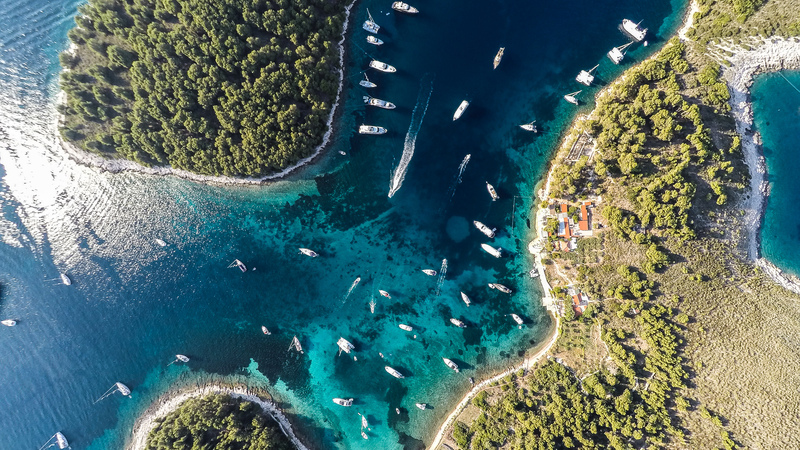 The north-western half contains Mljet National Park, where the lush vegetation, pine forests and spectacular saltwater lakes are exceptionally scenic. It’s an unspoiled oasis of tranquillity that, according to legend, captivated Odysseus for seven years. We’re sure he didn’t regret a moment. Mljet National Park makes up most of the island, and there are several villages, two salt water lakes – Veliko and Malo jezero, and a Benedictine monastery on the island of sv. Marija (St. Mary). In Polače there are some of the best natural anchorages in the Adriatic. The island of Šipan is one of the islands of the Elaphite archipelago. Sipan is also the largest island of the archipelago covering area of 16.5 km2. There are two villages on Sipan – Sudurad and Sipanska Luka. Sudurad is located on the eastern side of the island, while Sipanska Luka is on the west. As Sipan is island that is in near vicinity of Dubrovnik (17 km away), this island is well connected with Dubrovnik and is very popular as tourist a destination especially in the summer as there are regular boat connections to Sipan from Dubrovnik. The journey takes about one hour. Sipanska Luka (Port of Sipan) is the main port at Sipan and is a very popular destination for sailors being a well-protected harbour. There are numerous architectural monuments from the Middle Ages: the remains of Church of St. Peter on Velji Point from 11th century, Church of Sveti Ivan with its frescos from 11th and 15th century in Silova Sela, and the pre-Romantic Church of Sveti Mihovil from the 11th century, a Romantic-Gothic house, a Gothic tower, and the Renaissance Church of the Holy Spirit from 1569, all built as part of the Benedictine monastery in Pakljena. 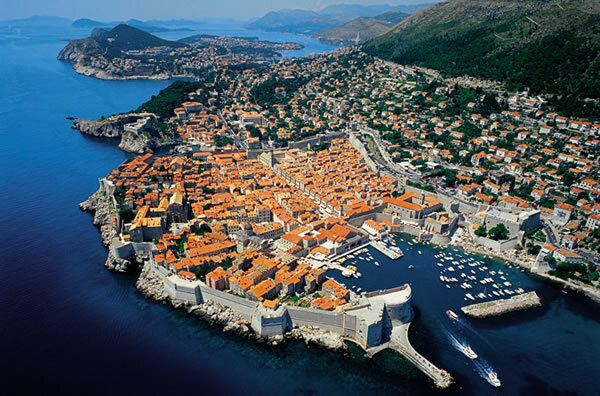 Back in 15th century, Sipan was popular place for Dubrovnik’s upper classes to have their holiday homes built there. One of them, the Sorkocevic’s family summer house stands out in particular. Also, in 15th century, a Gothic Rector’s Palace was constructed above Sipanska Luka, bearing bifora on the facade. At Sipanska Luka, there is also Gothic Church of Sveti Stipan with a painting of Pantaleon. Beside this, the remains of Roman villas have been discovered in Sipanska Luka too, just to prove this place was populated long time ago. A thriving independent merchant republic for 700 years, and rival to Venice, Dubrovnik today is one of the most popular tourist destinations in the Adriatic. Set on a rugged limestone peninsula, the city enchants with postcard images of medieval walls, a skyline of red roofs and church steeples, marble-paved squares, steep cobbled streets, palaces, churches, fountains and museums. The vibrancy of this Unesco world heritage site – light stone walls towering over the crystal sea reflected in the sky – is at its height in summer with a host of cultural, art and music events. Starting from the town of Split, this route offers perfect conditions for new sailors. A calm sea, no tides and always reliable weather means things never get too complicated. The myriad of tiny islands dotted around the area are ideal for island hopping. And there are plenty of unexplored bays and inlets for you to discover. 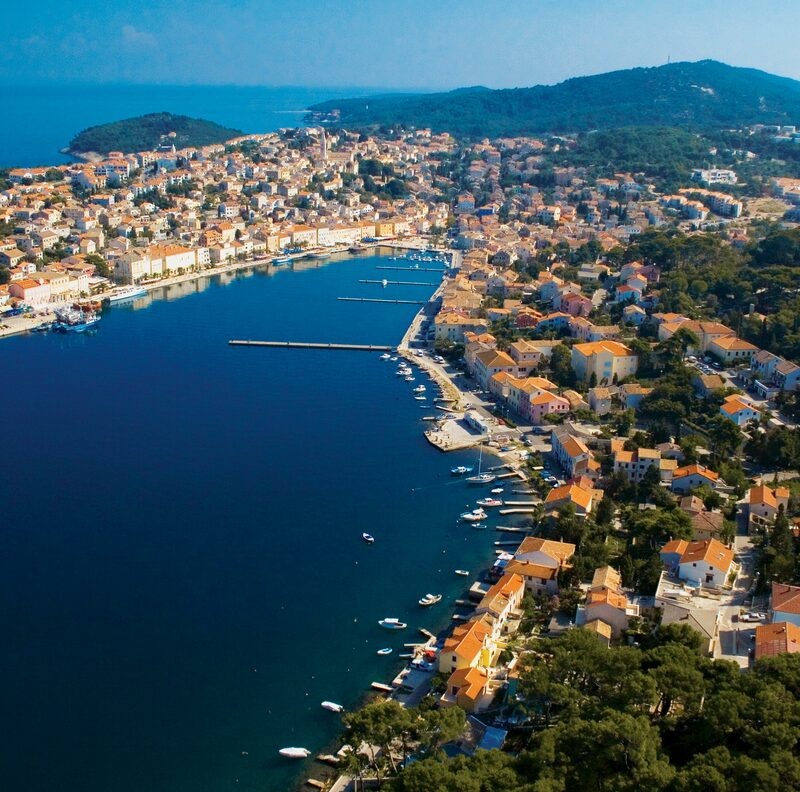 The island of Hvar is a big attraction with its Venician palaces, fashionable restaurants and bars night clubs. But more than anything, you’re coming to Croatia to get a taste of something different and that’s exactly what you’ll get. This is route itinerary, that might change due to weather conditions or some unplanned occasion. Some destinations will change due to Ultra Festival. Check detailed schedule for each week. What Food To Buy For Sailing? The amount of food you are going to take to your boat depends upon the number of people and rough estimates of how much each person can eat in a day times the number of days of your sailing trip. 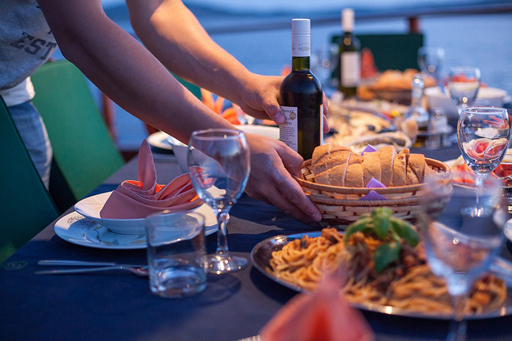 The rule of thumb for the sailing food is to take a little bit extra. That refers to the non-perishable food. The easiest way to your favourite food is with the delivery of Antropoti Yachts. Delivery Antropoti Yachts has access to many of shops enabling you to quickly search and order from the best in your area. With Antropoti reliable and fast delivery it’s easy to always find the best shops and tastiest food in your new area. With one call or e-maill your order goes straight to the shops and ensuring your food is always delivered on time on the board for your enjoyment on the Adriatic Sea and we will save your favourite menus if you want to order again. Your perfect holiday can begin without the hassle of searching for shop, waiting in lines and searching for transportation. and you can relax and enjoy in the Adriatic sea. Perfect and easy way is the buying your groceries with Antropoti Yachts food packages. You can choose from these 2 packages which are delivered straight to your yacht and designed to help you to enjoy in Croatia! If you ara a single or couples who would like to enjoy a sailing holiday in Croatia than a cabin charter is an excellent option for you. We suppose that you don’t have the sailing qualifications, time to learn to sail till summer or simply don’t want to spend as much as the cost of chartering a yacht and want to have great time without stress. 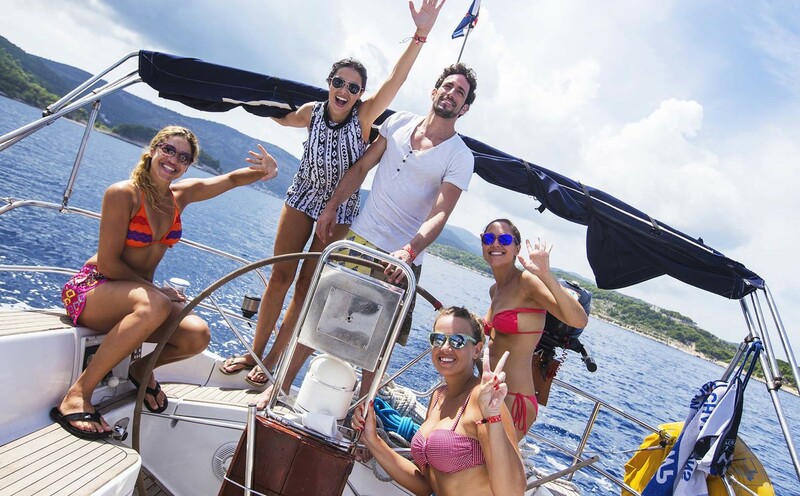 If you don’t have a group of friends who all want to come sailing, then a cabin charter is a great way to meet and make new freinds from all over the world, all of whom are of course also interested in sailing and parting. After a week together you might find youself making some life-long friends. 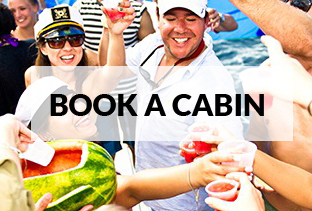 You just book a cabin and we combine you with other cabin bookers on a same yacht. You sail under the guidance of our professional skipper who is responsible for the yacht and your safety during the week. Cabin charter is excellent if you want to enjoy the sun, not worry about managing the yacht, but are interested in ‘helping out’ with the sailing. 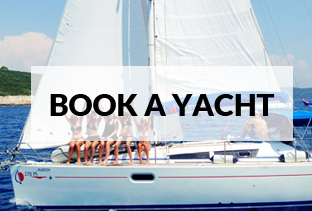 If there is group of 6 or more people we would suggest to book your own yacht. A yacht charter is the perfect option for small groups wanting to have the freedom to explore Croatian cost. Browse between 3 yacht classes (Premier, Executive and President) we have on offer, to decide which would be perfect for you and your group. Our experienced local skippers are available for hire with the yacht if you don’t have a qualified crew member. Hiring your own sailing yacht provides you with a unique way to see Croatia, similar to hiring a car you decide your own itinerary, then stick to that as closely as you like. If you enjoy one destination, feel free to stay longer – its your trip so you decide! Catamarans are a class of yachts that has two hulls, generally equal in size. Hull speeds are very high, making them a good choice for recreational uses. They are in general, faster than single hull boats. This is due to several factors, the most important of which is the hull shape. Catamarans are also very light, which further reduces drag and displacement. Stability of catamaran comes from the wide beam length. Another great advantage is that they are wider than monohulls. Given this fact a catamarans interior and deck are much more spacious. Since a catamaran has more room it creates felling like you are at home. Heads and showers are separate; cabins provide enough room for spacious and comfortable beds. They are ideal for long cruising as they are very spacious and comfortable. Simply select the week and destination you want to join and whether you and your friend will be 2 guys, 2 girls or 1 guy and 1 girl together. 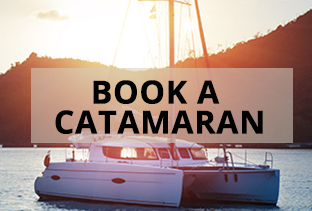 All cabins accommodate 2 people and you will share your yacht with other cabin bookers. Bear in mind that there is a refundable deposit of 250 Euro per person which will be returned in full after the week is finished, providing that there is no damage to the sailing yacht. Bear in mind that there is a deposit of 1500 – 2500 Euros for this sailing yacht, which will be returned in full after the week is finished, providing that there is no damage to the sailing yacht. Please understand that this cost breakdown can vary with the cost of the sailing yacht being rented, although the other costs will remain roughly the same regardless of which sailing yacht is rented. You can pay on bank account or with PayPal. If you pay 30% of the total amount within 3 working days, your reservation is confirmed. In case of cancellation, the deposit that was paid will not be returned. If 30% of the total amount is not paid within 3 working days, then the reservation will automatically be cancelled.